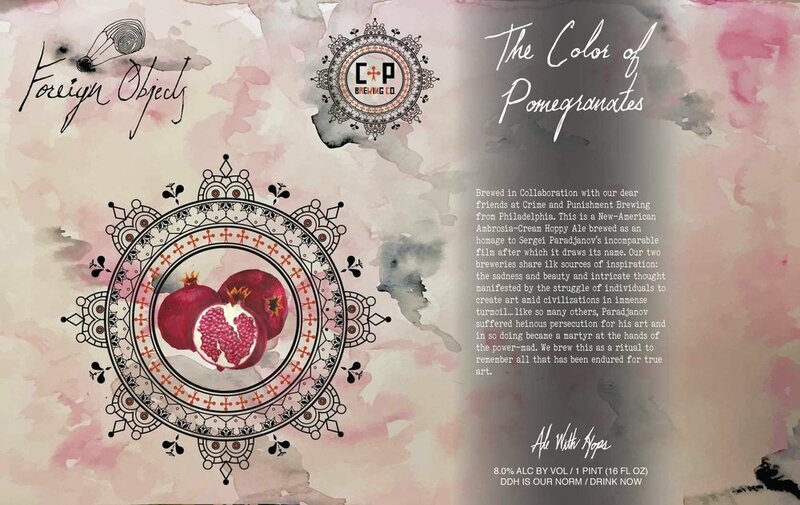 Brewed in Collaboration with our dear friends at Crime and Punishment Brewing from Philadelphia. This is a New-American Ambrosia-Cream Hoppy Ale brewed as an homage to Sergei Paradjanov's incomparable film after which it draws its name. Our two breweries share ilk sources of inspiration: the sadness and beauty and intricate thought manifested by the struggle of individuals to create art amid civilizations in immense turmoil…like so many others, Paradjanov suffered heinous persecution for his art and in so doing became a martyr at the hands of the power-mad. We brew this as a ritual to remember all that has been endured for true art.